I've been knitting so long I have a fairly clear sense of needle size from looking or touching the yarn. That skill has taken a long time to develop and does occasionally fail me however, in my knitting travels I've come across three other methods that I'll share with you. These also work if you want to work with more than one stand of yarn to mix or substitute for something else. The first is to lay two strands of yarn across a needle gauge. 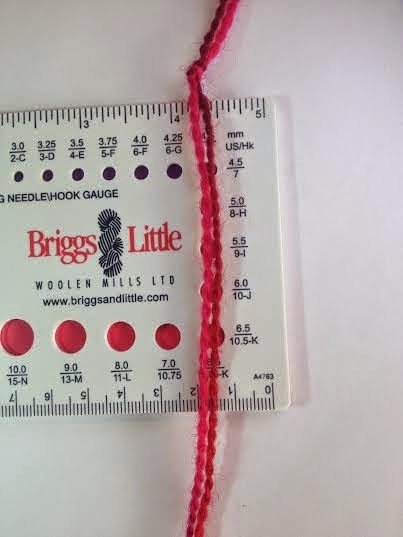 When you find the hole which is covered by the two strands, try that size of needle as your first swatch. When you experiment with this take notice of how yarns with a halo are pushed away from one another. A contrasting colour under the gauge makes this easier. Check each size one by one. 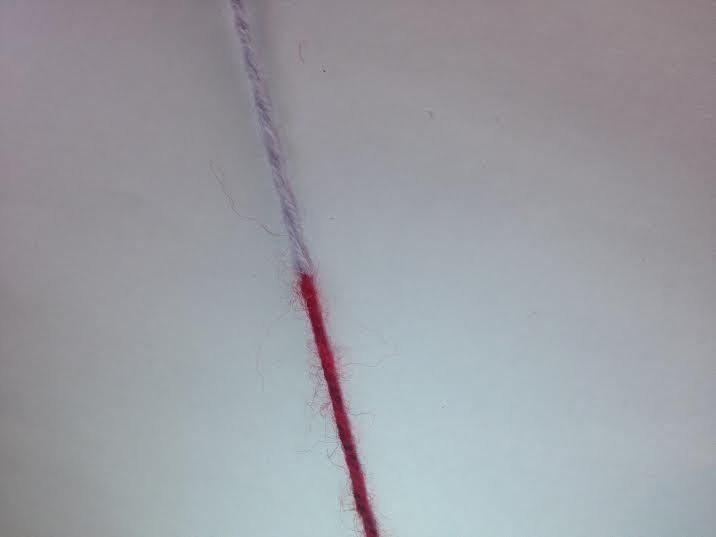 The second method is to take your two strands, twist them together and compare to several needles, you are looking for the size which is most similar in width to the twisted strand. The third method is to start with some yarn you know the weight of. Loop one yarn around the other, twist and run your fingers across the join. If the yarn is the same weight you will have almost no discernible difference. If the difference is large try comparing with another yarn. To get better at this, experiment by starting with two loops of the same yarn before trying other weights. These methods will give you a starting point for swatching, ...yes you still have to swatch!